Anthony Doerr’s Pulitzer Prize-Winning ALL THE LIGHT WE CANNOT SEE to be Published in Paperback by Scribner on April 4 | News and Corporate Information about Simon & Schuster, Inc.
NEW YORK, February 15, 2017—Scribner will publish the paperback edition of All the Light We Cannot See, Anthony Doerr’s Pulitzer Prize-winning, #1 New York Times-bestselling novel on April 4, 2017. 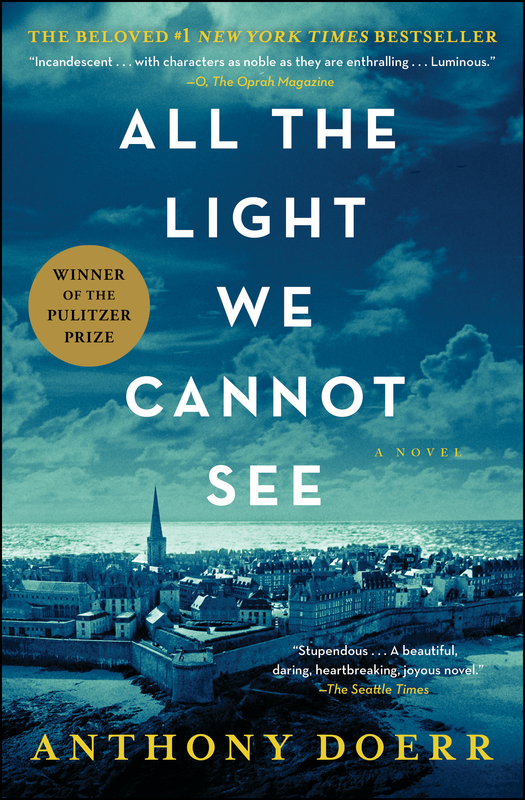 First published in hardcover by Scribner on May 6, 2014 and on the New York Times Hardcover Fiction Best Sellers list for nearly three years, All the Light We Cannot See tells the story of Marie-Laure, a blind French girl, and Werner, a German boy, whose paths collide in occupied France as both try to survive the devastation of World War II. With an initial first printing of 60,000 copies, All the Light We Cannot See would go on to gain the admiration of readers, booksellers, librarians, and critics alike. 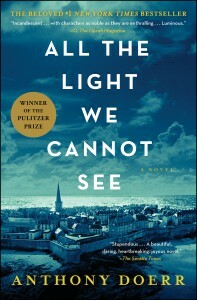 In addition to winning the Pulitzer Prize, All the Light We Cannot See was a finalist for the National Book Award and was named to 20 “Best of 2014” lists, including the New York Times Book Review’s “10 Best Books of 2014.” After 56 printings of the hardcover edition, there are now more than 4 million copies of All the Light We Cannot See in circulation across all formats in North America alone. Film rights were acquired by 20th Century Fox. “All the Light We Cannot See has been read and shared by millions of people—old and young, male and female. We are thrilled to publish the paperback which will bring to new audiences this magnificent novel and its message that war is tragic and horrific, yet a common humanity can be found even among enemies. This is one of the most beloved books of our time and we expect it to thrive on Scribner’s backlist for decades to come,” said Nan Graham, Anthony Doerr’s editor and Senior Vice President, Publisher of Scribner. Doerr will embark on a major national tour this spring, including stops in Phoenix, San Francisco, Albuquerque, Austin, Kansas City, Chicago, Portsmouth, N.H., Philadelphia, Atlanta, and Raleigh in support of the paperback’s publication.